Yesterday I released a new KPowersave release candidate (RC3). 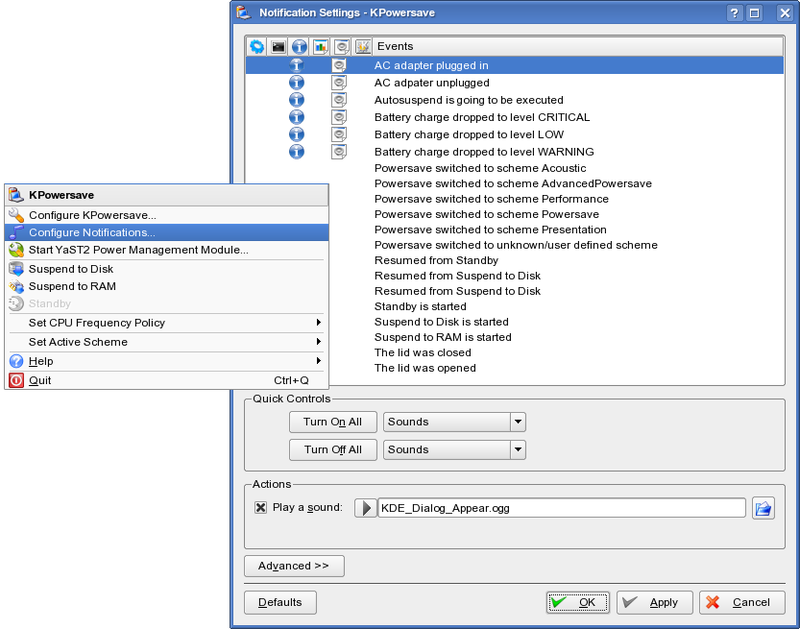 This new version (v0.5.9) fixes APM support in KPowersave. 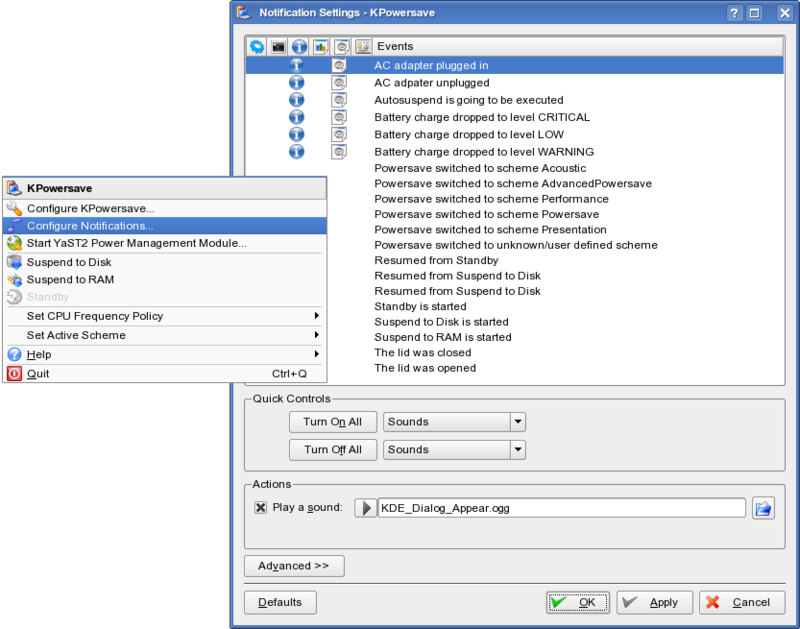 I found several problems with battery informatiion on APM with the applet tooltip and the information dialog which based on bugs in powersave. 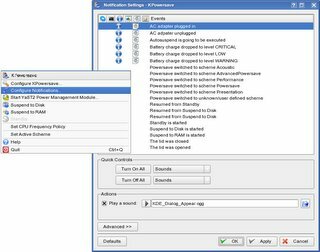 Looks as APM was not really tested with powersave since the HAL support was added. I fixed this in powersave and also the battery state if no battery is available. Because of this changes KPowersave depends now on the new powersave version 0.12.1. With the new powersave version I registered that HAL poll every 2 seconds /proc/apm. The apm interface recalculate with each read the remaining time. Thus HAL change with each poll the battery remaining time properties and send events over D-Bus. If we get every 2 seconds new events in powersave and with it also in KPowersave we use the D-BUS more often than with ACPI if the machine is on battery. Everyone say DBUS doen't need much CPU, but in this case (APM/battery/powersave/kpowersave/2 second poll in HAL) the DBUS daemon produce a CPU usage between 5 and 25 %. This is IMO to much - we need to investigate what the reason is.